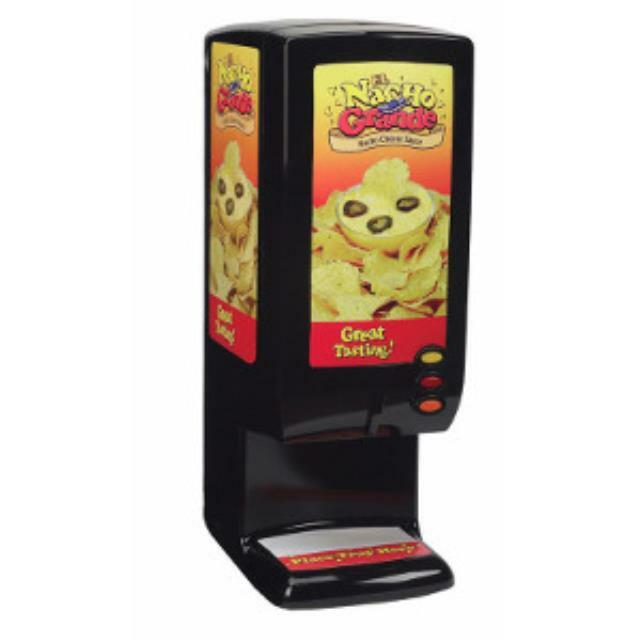 This dispenser is a great one stop machine for your nacho cheese or chili dispensing needs! The El Nacho Grande Dispenser has virtually no clean up needs, a pre-heating area for a back up cheese or chili bag, quick reloading of bags, and airtight control. * Please call us with any questions about our nacho cheese dispenser in Hammond LA.